This course is £45 for six weeks and includes blocks, straps, blankets & bolsters provided and an optional. A gentle yoga class is an ideal way to begin a practice or enhance regular practice getting powerful benefits for mind and body. 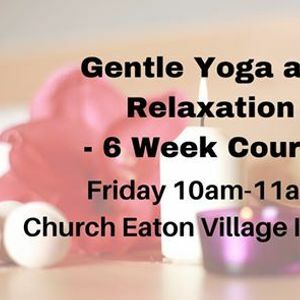 It is perfect for beginners/improvers but also ideal for anyone looking to meet, stretch and relax regularly. The practice includes yoga postures, breathing techniques and guided relaxation. 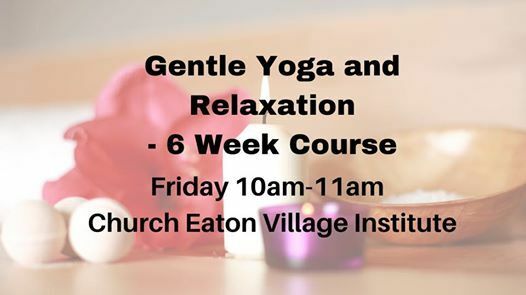 This course is suitable for any age as long as you can kneel on all fours and transition from standing to sitting on the yoga mat. The poses can be modified to accommodate most health conditions and injuries.